Commandant of the Marine Corps Gen. Robert B. Neller speaks with a Marine during an exercise in Bridgeport, Calif., Feb. 11, 2019. 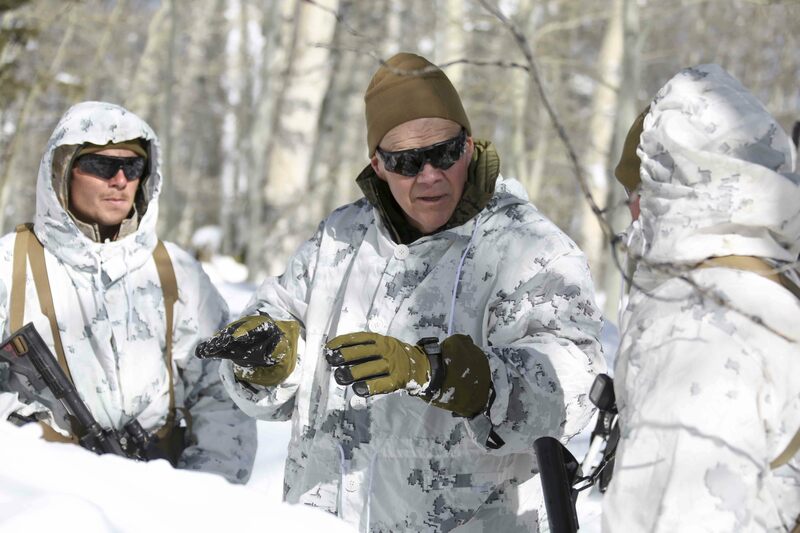 Gen. Neller observed mountain warfare cold weather training and discussed ways to optimize training. (U.S. Marine Corps photo by Sgt. Olivia G. Ortiz).